Rehab Dynamics is for Everyone! At Rehab Dynamics Physical Therapy we want our patients to live their best lives. That’s why we incorporate traditional physical therapy methods with the latest cutting-edge treatment. It is our goal to have you FEEL better so you can LIVE better. Whether you’re a sports enthusiast, construction worker, business person, teacher, busy parent, or retired senior citizen, we have a program to fit your lifestyle. Patients love our caring approach as well as our professional atmosphere. Rehab Dynamics, LLC is qualified to conduct employee post-hire physicals and fit-for-duty examinations. Your treatment is explained, often using models to illustrate injuries. All questions are answered in detail. 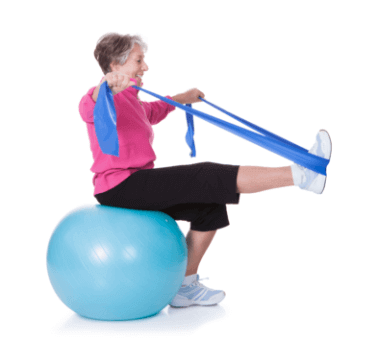 Home exercise programs can be utilized to provide further improvements. After thorough evaluation and assessment, you’ll receive a personalized treatment program. Each patient is assessed individually, so each program supports their own special needs. An in-depth interview of your health history and physical problem is just the beginning. Your physical examination includes muscle testing, key functional assessment, a range of motion test, orthopedic and neurological testing, plus a posture and gait analysis. Most visits last over an hour, ensuring accurate diagnosis and treatment of your condition.